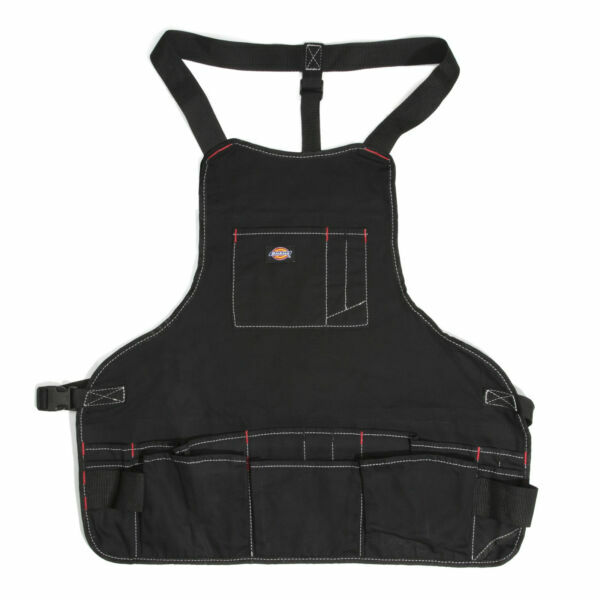 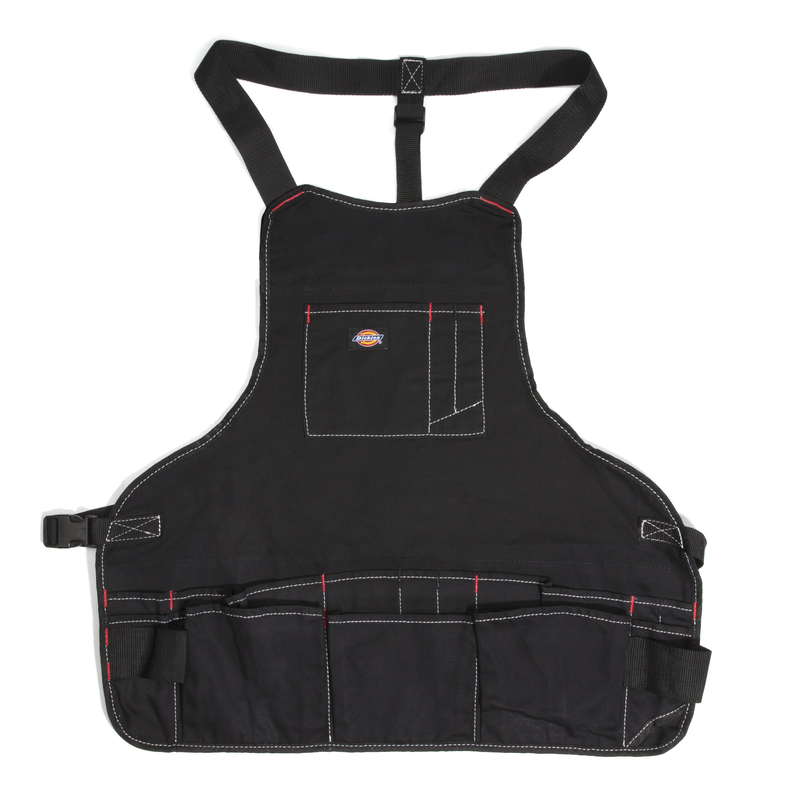 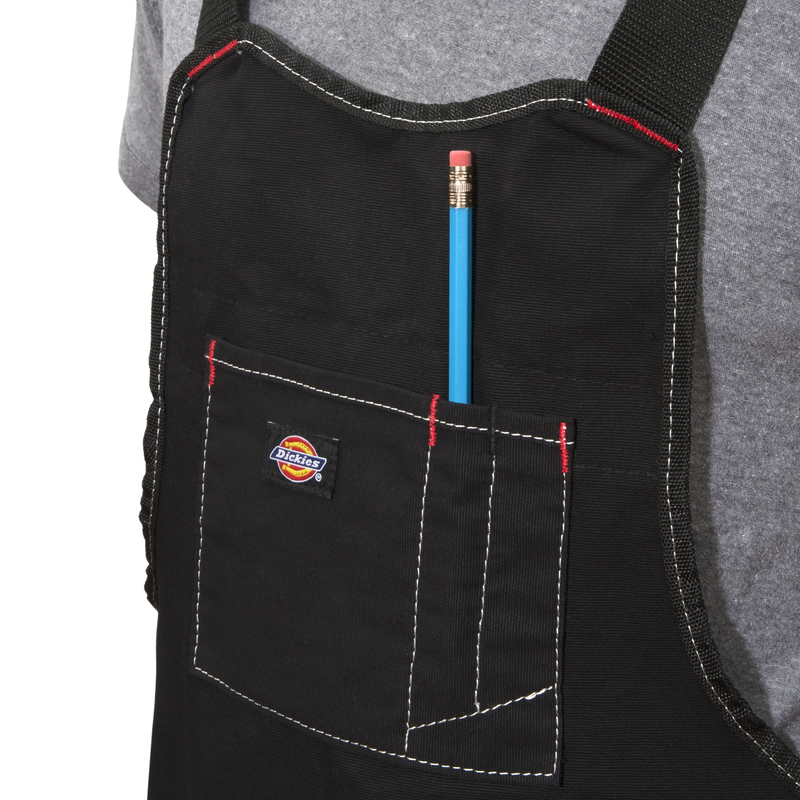 Instead of keeping all of you tools on the floor or inconveniently stored in separate tool boxes in your garage or workshop, keep them within reach with the Dickies Work Gear 57081 16-Pocket Bib Apron. 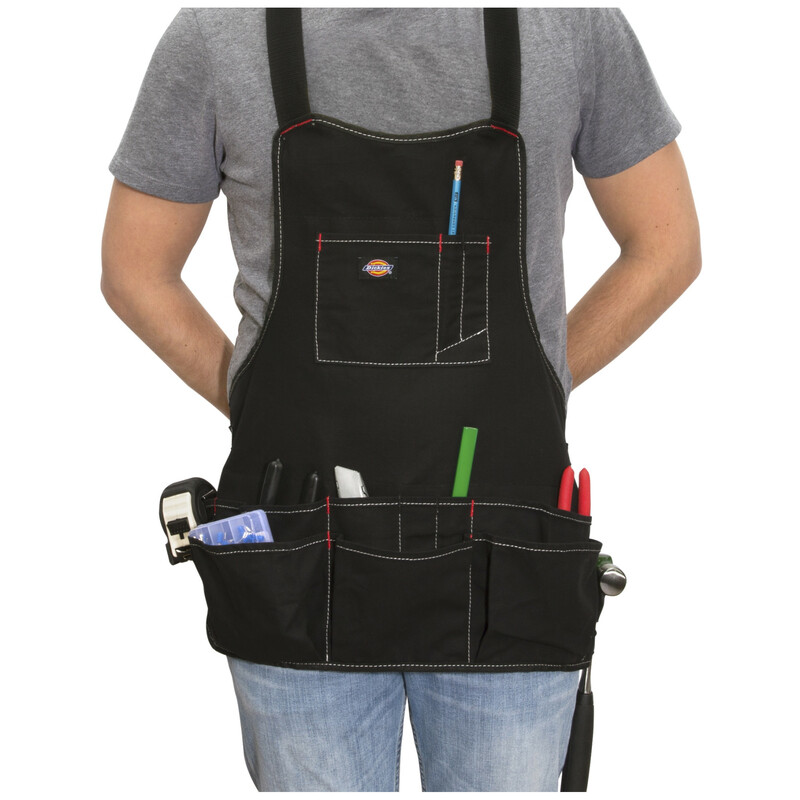 Constructed of heavy-duty black canvas, this apron features 1 larger pocket for holding a notepad and 2 slim pockets for pencils and/or pens on the chest area. 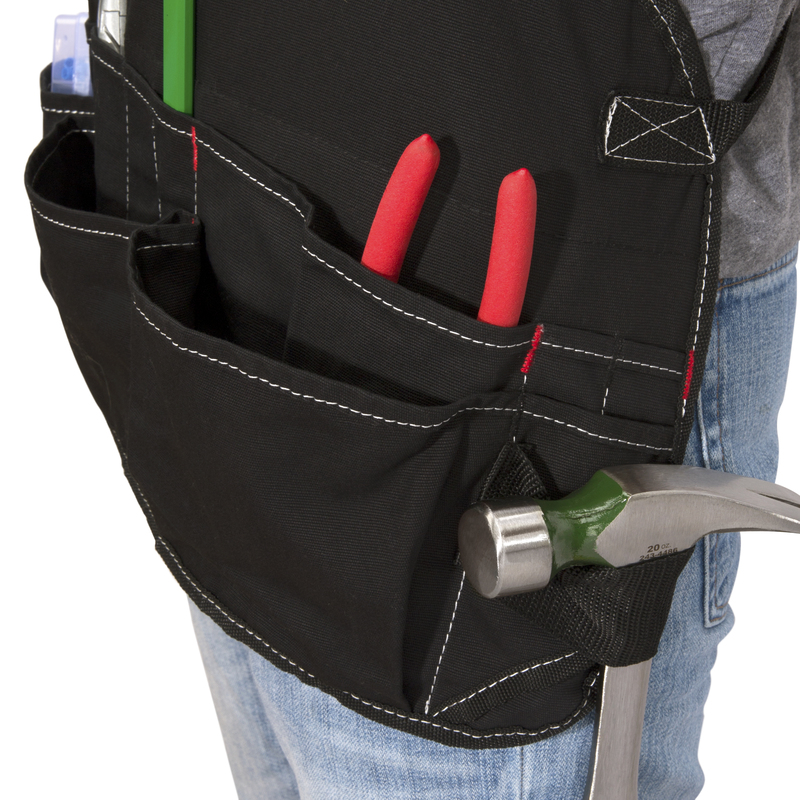 Down by the waist, there are thirteen pockets of various sizes, perfect for hand tools, paint brushes, measuring tape and other small bits and accessories. 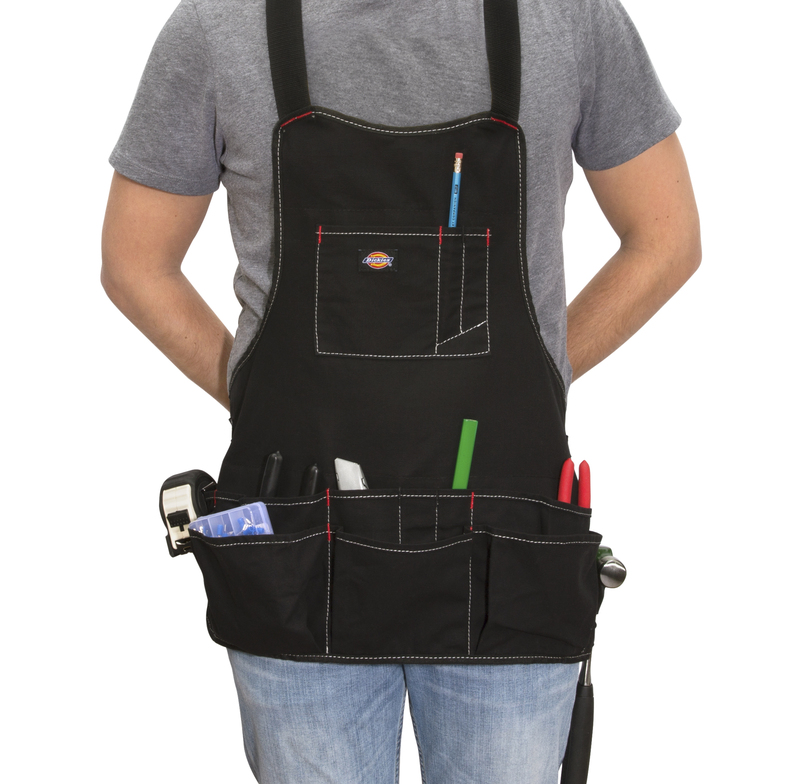 With fully adjustable 2-inch shoulder straps and an adjustable webbing belt with plastic buckle, you can customize the fit to your needs.